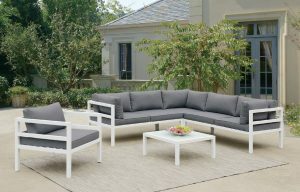 Outdoor furniture season is finally here! 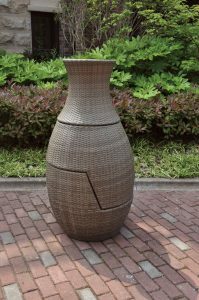 Here are a few tips to consider before purchasing pieces for your summer backyard bash. What is the primary function for your outdoor space? Will you host dinner parties or cocktails? Is it more for a reading and relaxing space? Make a list of things you would like to do in the space so you can determine what type of furniture you need to purchase. Most metal, teak, cedar, and resin wicker are unfazed by the forces of nature. Try to stay away from white cushions because we all know that birds eat berries, so eventually birds will…well you know how that story ends. 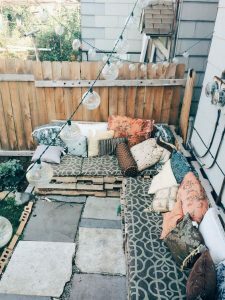 Add splashes of color to your mini oasis using outdoor pillows, rugs, and lighting. Don’t settle for boring white lights, add an extra twinkle with blue and green lights. 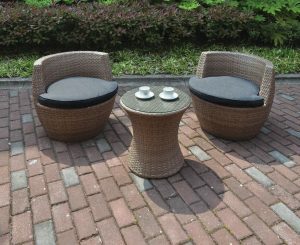 Even the toughest outdoor furniture need some love and care. Keep in mind that you should put these pieces in storage, like the garage or basement, once summer time is over. Some furniture even stack together for easy storage! 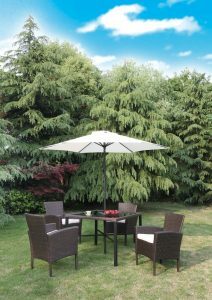 You can also invest in patio furniture covers to protect them during the harsh winter. 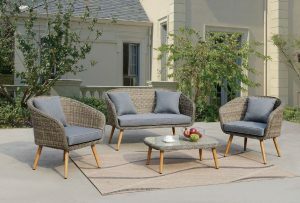 Come visit us at Rockridge Furniture & Design to purchase all your outdoor needs!